For the first time in two years, Zed made an appearance in an LCS match. With a 2-1 lead in the 2019 LCS Spring Split semifinal showdown between Cloud and TSM, C9 mid laner Yasin “Nisqy” Dinçer locked in Zed to try to counter Søren “Bjergsen” Bjerg’s Zoe. 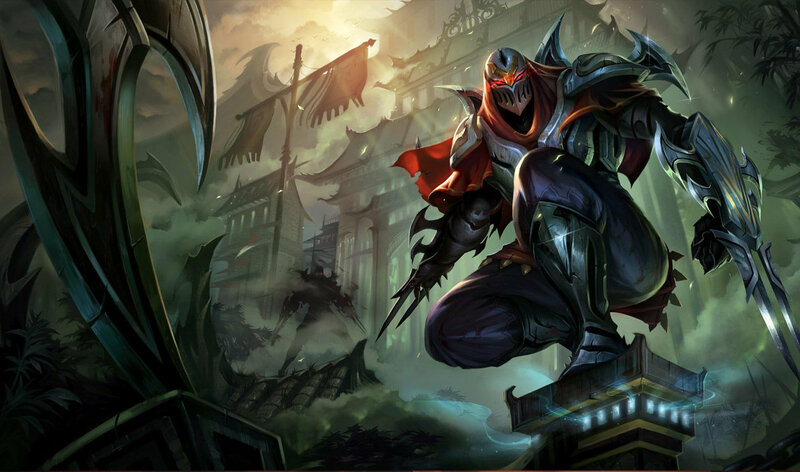 But unfortunately for fans of The Master of Shadows, Zed didn’t have a major impact on the game. A failed C9 gank in the mid lane led to first blood for TSM early in the game. Then, moments later, Nisqy suffered his first death at the hands of TSM jungler Matthew “Akaadian” Higginbotham. This elimination started a snowball for Akaadian who quickly picked up more kills across the map and became the strongest player on Summoner’s Rift. Following a brief pause 22 minutes into the game, Cloud9 tried to sneak a Baron. As TSM rotated toward the Baron pit, Nisqy attempted to assassinate TSM ADC Jesper “Zven” Svenningsen. But TSM were prepared—they killed Nisqy and then secured the Baron for themselves. TSM then took full advantage of the Baron buff and pushed into C9’s base. Nisqy made a last-ditch effort and tried to assassinate Cho’Gath—but he simply died again. This allowed TSM to keep marching straight at C9’s Nexus and they ended the game in under 26 minutes. Nisqy wasn’t able to get a kill with Zed in this match, ending the game with a 0/3/3 scoreline. This probably means we won’t be seeing Zed in the LCS again for some time.